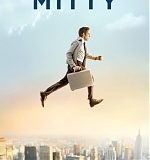 A brand new poster has been released for The Secret Life of Walter Mitty, arriving in theaters on Christmas Day. The film is a reimagining of James Thurber’s classic story of a day-dreamer who escapes his anonymous life by disappearing into a world of fantasies. When his job along with that of his co-worker Cheryl (Kristen Wiig) are threatened, Walter (Ben Stiller) takes action in the real world embarking on a global journey that turns into an adventure more extraordinary than anything he could have ever imagined.